Temperatures At 3 PM MDT Today. 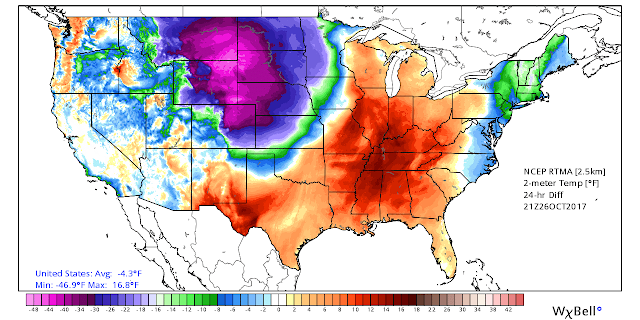 Temperature Anomalies At 3 PM MDT Today. Temperatures have dropped down into the 20's and low 30's across much of Wyoming and the upper 30's to low 40's across northern and eastern Colorado as of 3 PM MDT this afternoon. 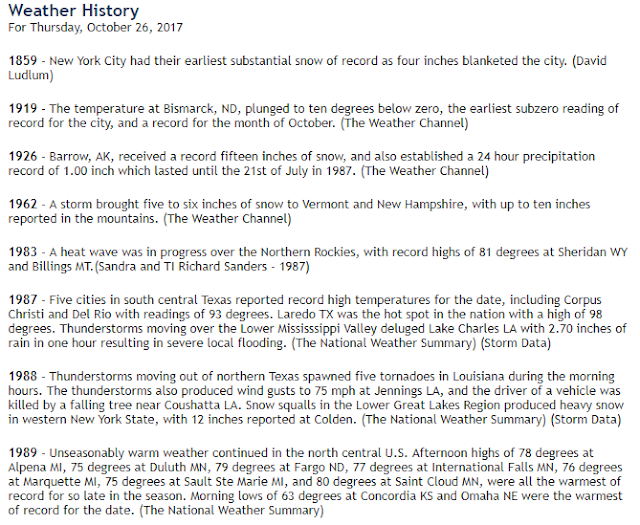 These readings are ranging from 25ºF to 40ºF below normal behind a strong cold front that is moving southward. 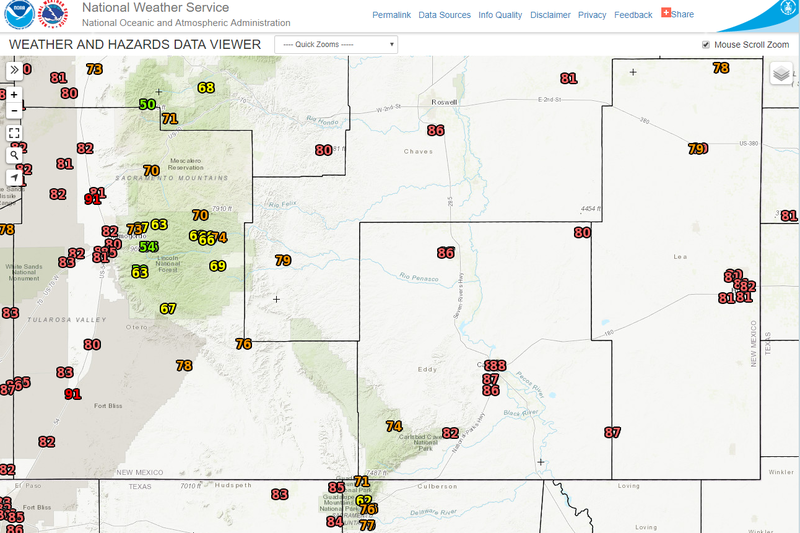 Meanwhile ahead of the southward advancing backdoor cold front our temperatures in Southeastern New Mexico have climbed up into the mid and upper 80's. 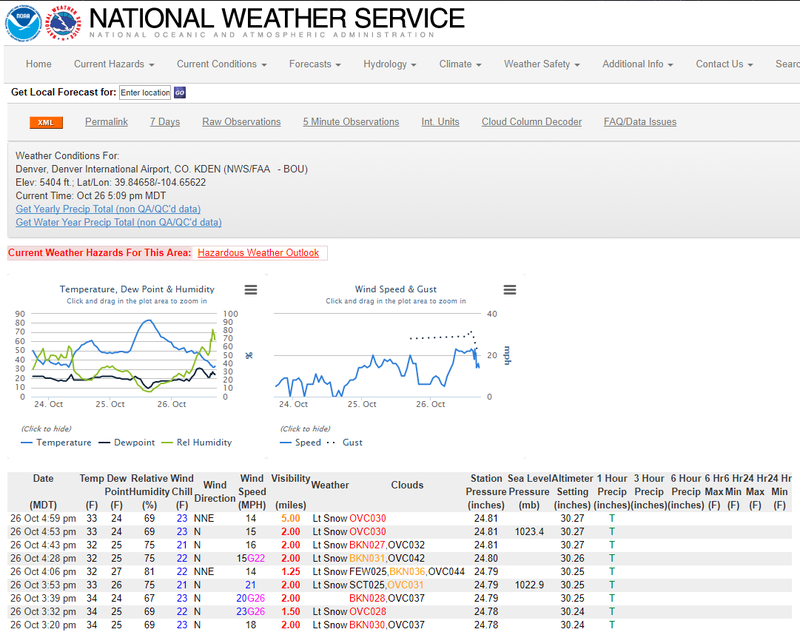 So far we have manged to reach 88ºF here at our home in NW Carlsbad. Regional High Temperatures As Of 4 PM MDT Today. 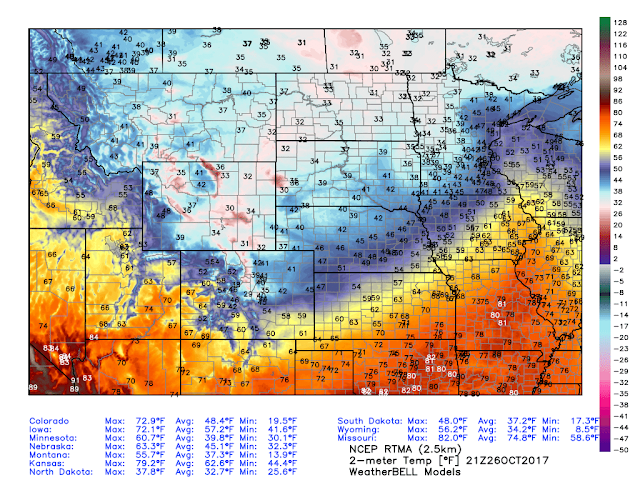 Strong Backdoor Cold Front Comes Knocking Tonight. 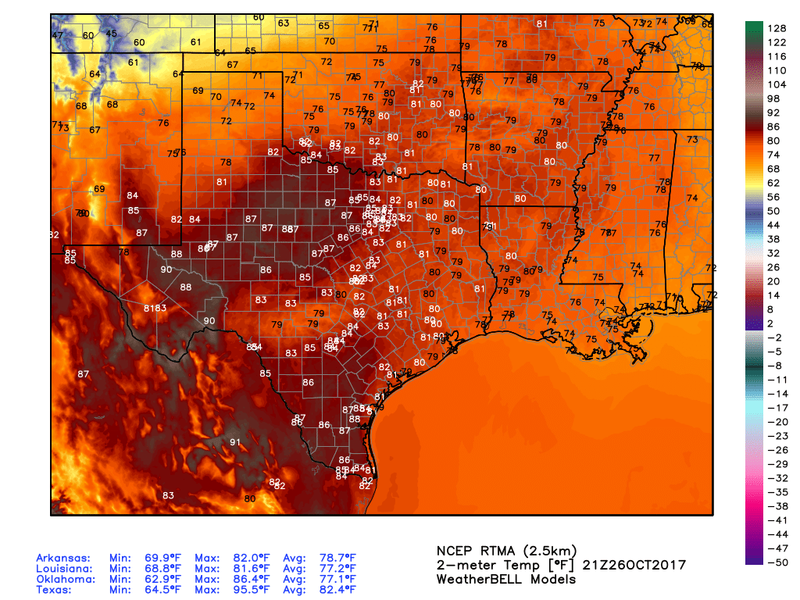 NWS NDFD Forecast High Temperatures Friday. Temperature Departures From Normal Friday. 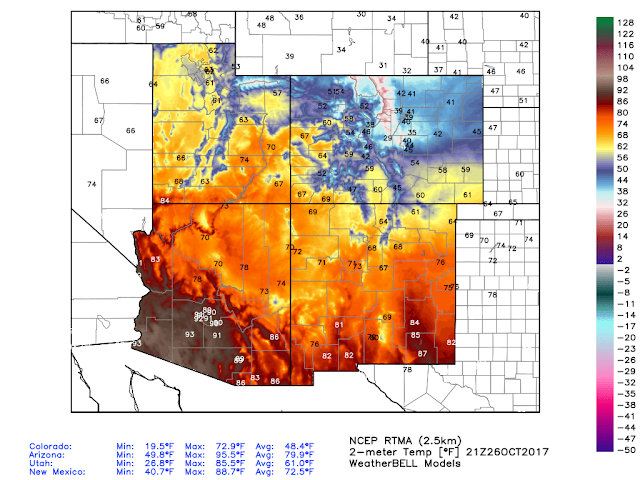 After seeing our afternoon highs climb up into the mid to upper 80's today which is some 10ºF to 15ºF above normal for the date, our highs tomorrow will only be in the 50's here in Southeastern New Mexico. Clovis and Portales will only be in the 40's and perhaps even Roswell may not make it up to 50ºF. 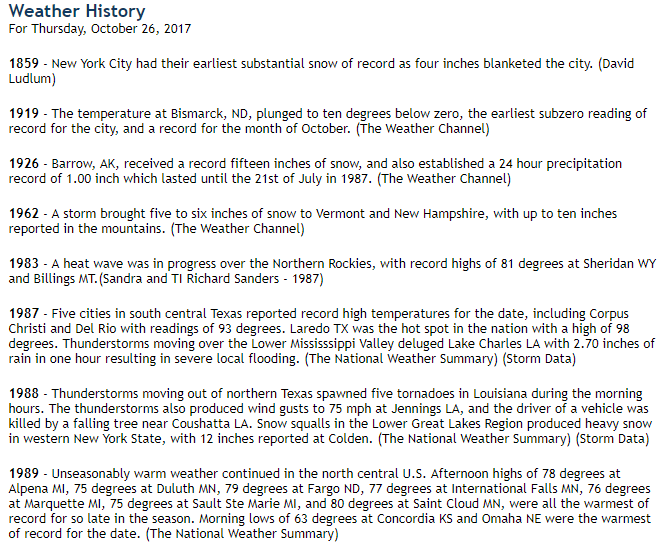 These readings will be some 20ºF to 25ºF below normal. 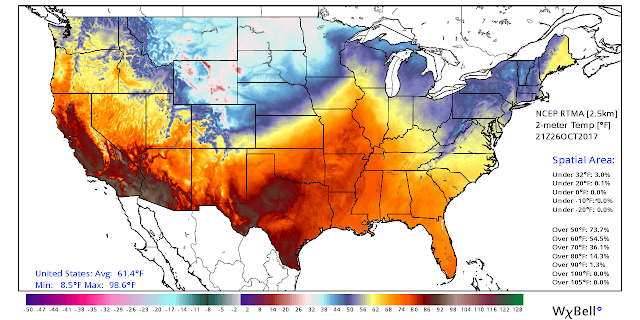 Friday's highs will be some 30ºF to 40ºF lower than today's highs locally. 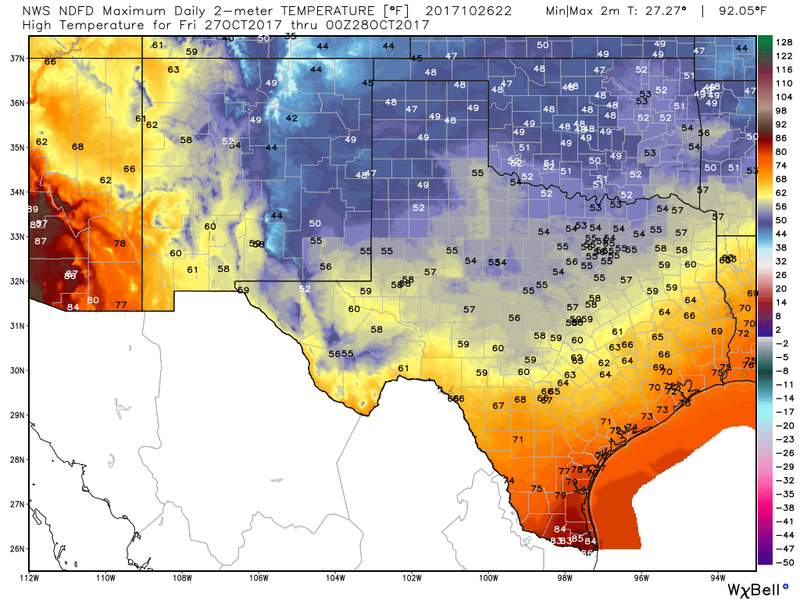 First Widespread Freeze Of The Season. NWS NDFD Forecast Low Temperatures Saturday Morning. 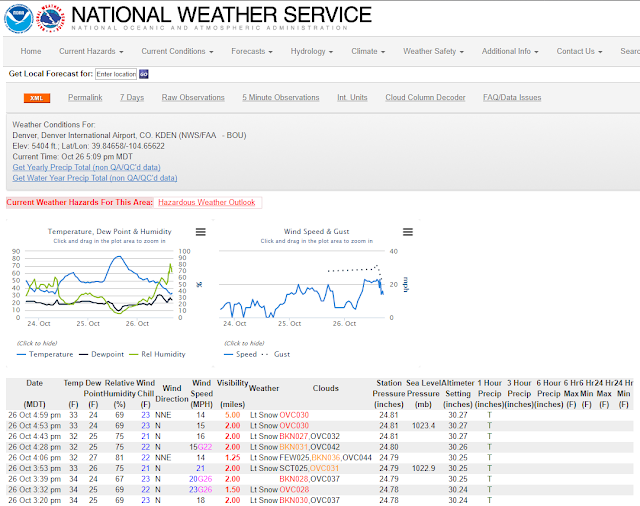 NWS Forecast For Roswell, New Mexico. 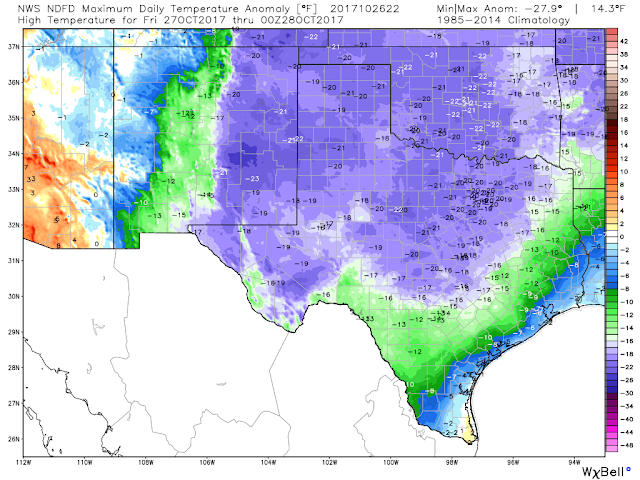 Current local National Weather Service forecasts call for most of Southeastern New Mexico to be at or below freezing by sunrise Saturday morning. 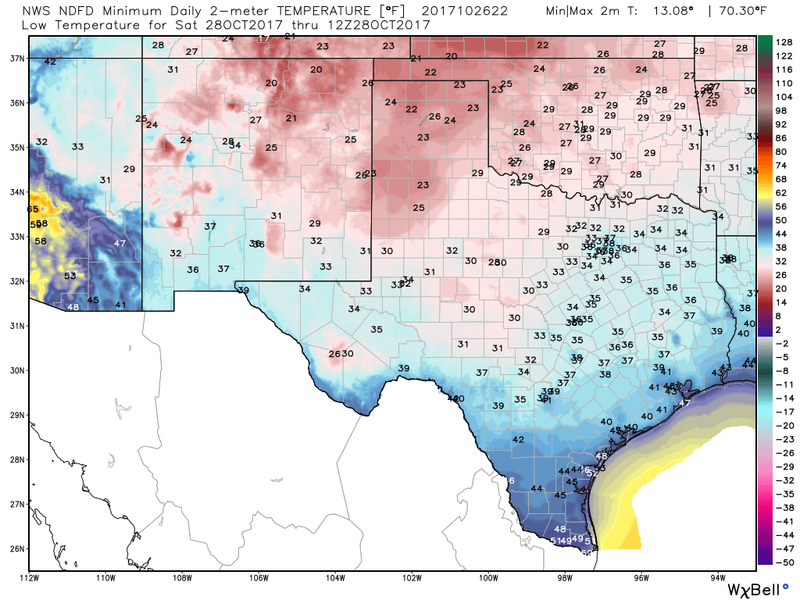 Thus the areas first widespread freeze is expected to occur. Note that Roswell is forecast to get down as low as 25ºF and I expect to see similar readings in the rural areas along and near the Pecos River and on the Caprock Saturday morning. Snowing In Denver At 5 PM MDT.